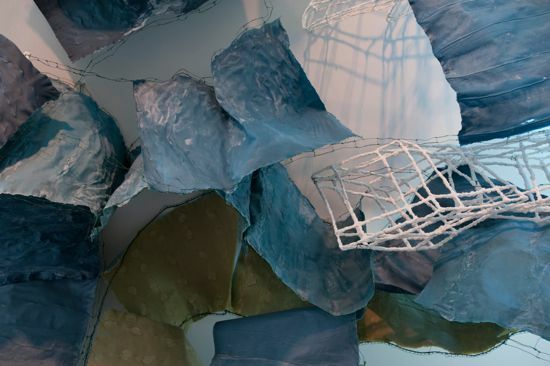 Nancy Cohen's "Perspectives on Salinity: River from Within" considers the river's unique tidal currents and shifting salt composition. The dramatic scale of the installation captures the power of moving water, while its construction from paper simultaneously suggests the river's fragile ecosystem. Cohen's own relationship with the Hudson has been shaped over eighteen years of working in a Jersey City studio overlooking the historic river. 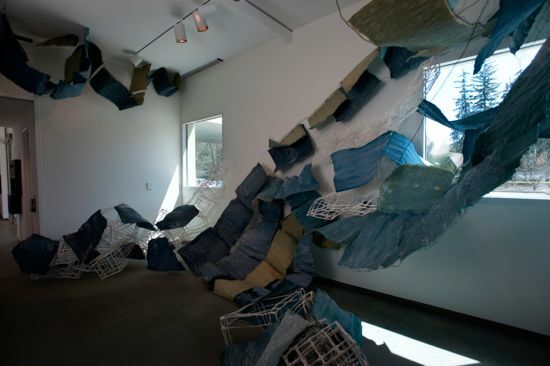 Cohen's dramatic installation surrounds viewers with waves of shirting color and subtle movement. The subtitle, "River from Within," summarizes its effect: the viewer is literally standing in - and under- the swirling water. This is an artwork intended to be entered and experienced, one that cannot be viewed in its entirely from a single vantage point. 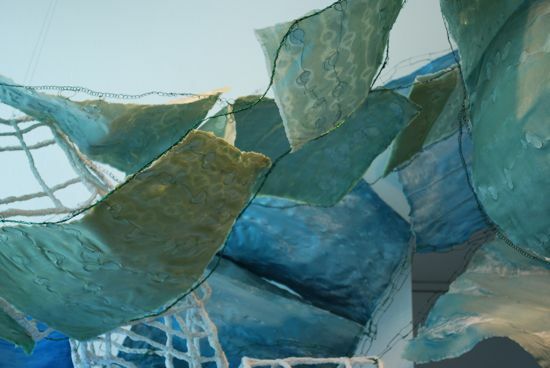 It is Cohen's third large-scale paper installation inspired by water (previous works were based on the Mullica River in the Pine Barrens of New Jersey). 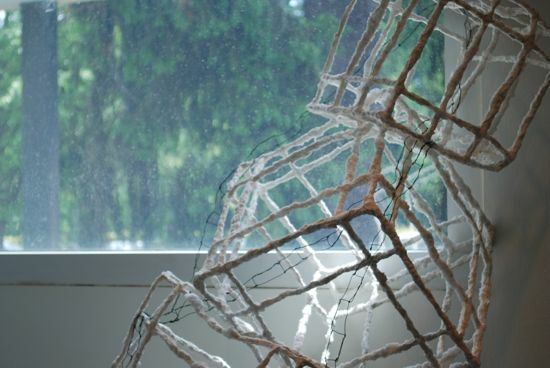 "Perspectives on Salinity" was designed specifically for the Katonah Museum. 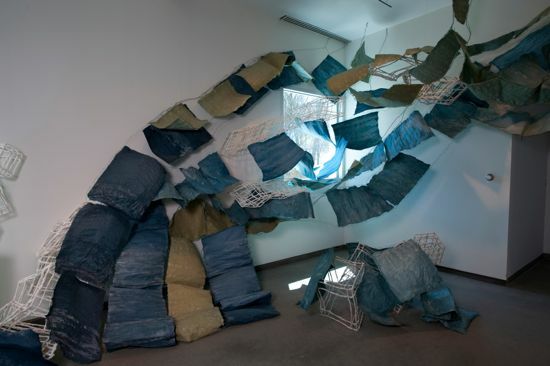 Viewers may respond in awe to the scale and scope of Cohen's installation. Yet the work demands closer inspection. Meticulous handcrafted details, like the delicate "crocheted" filament that supports the freshwater paper, can be found throughout. The river's ever-changing ratio of fresh to salt water presents an interesting visual comparison, but this natural phenomenon is not the artist's sole intent. In "Perspectives on Salinity: River from Within," Cohen successfully creates the experience of being swept away by the beauty and enormity of the Hudson River, while simultaneously fostering intimate encounters with both nature and art. From the exhibition brochure by Ellen Keiter, Curator of Contemporary Art, Katonah Museum of Art.